Rattle & Shake Barbell Toy is rated 5.0 out of 5 by 3. 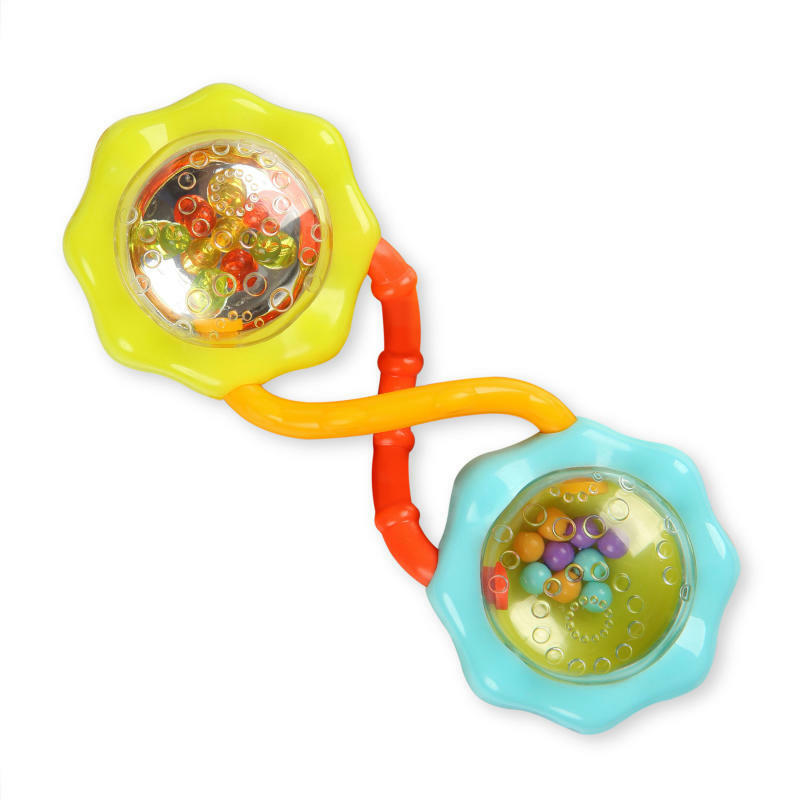 The colorful Rattle & Shake Barbell from Bright Starts™ makes play time fun! Easy to grasp handles, rattle beads and mirrored surfaces make this toy a perfect addition to the toy box. Dimension (in) 2.13" x 1.75" x 5.8"
Rated 5 out of 5 by Theasmom1 from Great for tiny hands We got this rattle when my daughter was 3 months old and it has quickly become a fan favorite. She loves shaking the rattle. It is especially easy for her to grab. Love seeing her smile when she is able to get it all by herself. Rated 5 out of 5 by Lotsoffun from Great Rattle One of my sons' favorite toys. Easy to hold for small hands and great for the car or stroller.